Formed in 1995, Premium Grain Handlers provides reliable grain, pulse and oilseed products and processing services, consistent with international speciality market requirements including truck unloading, processing buffer storage, cleaning and processing. 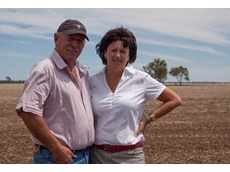 Barooga Ag Services provides an exclusive service to Glencore Grain for Grain accumulation in Victoria and it also has network of committed grower representatives in Southern NSW and South Australia. S.M.H Simpson is a sheep, cattle and cash cropping enterprise that sells, Grain: Wheat and Oats Seed, Hereford / Angus Cattle: Weaners, Fat Lambs and Working Dogs. 27/02/13 - Growers who sold through online marketplace iGrain last year received an average of $8 per metric tonne above the market price. 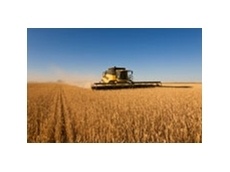 28/02/11 - iGrain.com.au are online grain brokers connecting buyers with sellers of grain. 03/03/09 - Using optimized sensors developed with 25 years of grain loss experience, almost any combine harvester can be fitted with a grain loss system. 04/07/08 - Agracom specialises in commodity trading and grain marketing businesses.